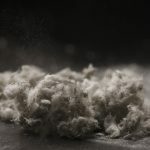 The number of tradespeople in the UK who die each week from work-related asbestos exposure now stands at twenty, far more than those who die through accidents at work. Asbestos-related diseases claim over 100,000 lives around the world every year, and it is estimated it will have caused ten million deaths before it is fully controlled. IOSH vice president, Jonathan Hughes, will present the No Time to Lose (NTTL) asbestos campaign to constructors attending the Considerate Constructors Scheme (CCS)’s Image of Construction event in London on 11 September. The Institution of Occupational Safety and Health (IOSH) launched the asbestos phase of the NTTL campaign earlier this year. Despite knowing of its fatal properties since the late 1800s, asbestos was used prolifically by industry until it was banned in the UK in 1999. Exposure to asbestos is now one of the biggest contributors to occupational cancer, leaving construction workers at greatest risk of its deadly legacy.